One of the early graphical web browser that got really popular was Mosaic, developed at National Center for Supercomputing Applications (NCSA). Some folks from the team, along with SGI founder Jim Clark, decided that it’s worth a venture and formed a company, originally called Mosaic Communication and then later renamed to Netscape Communication. Netscape’s flagship desktop product was a much more advanced web browser than Mosaic. Jamie Zawinski coined the name “Mozilla”, as it was supposed to be Mosaic Killer (Mozilla = Mosaic + Godzilla). At the later stage, the final browser was widely known as Netscape Navigator. For browsing the web, obviously you need a navigator. Parallel to that, another company called Spyglass licensed the technology from NCSA and produced a web browser, Spyglass Mosaic. It is fun to see the same theme here (probably even slightly coincidental), typical Hollywood movies always portray the naval ship’s navigator using his spyglass for some sort of observations. Then came along Microsoft. It licensed Spyglass Mosaic, called it Internet Explorer, and distributed with Windows. 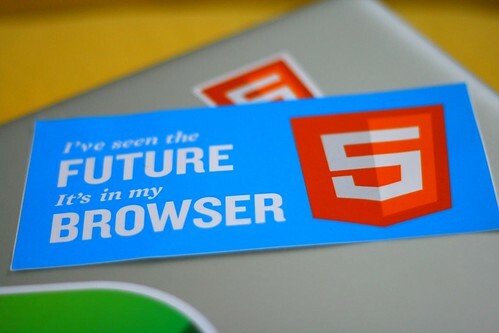 The browser war has just started. I mean of course, the name war. Why would you stop at navigating (and using spyglass) if you can continue exploring? On the other side of the planet, KDE slowly emerged as the attractive supplement to the otherwise boring Unix desktop. Internet technologies became the centerpiece of the early version of KDE, thus its developers grew a set of applications from e-mail program, newsgroup reader, IRC client, and (surprise) a web browser. There was no free-software-friendly modern and capable web rendering engine back then, thus a bunch of brave young hackers initiated the adventure of (re)writing one, under the name KHTML (which was itself a replacement of the original attempt, khtmlw). From this KDE camp, the ultimate web browser (which actually could serve other tasks as well, e.g. file manager and document viewer) was popular as Konqueror (indeed, those were the days where KDE stuff was named K-this or K-that). History showed how Age of Discovery was not about navigation and exploration only. After all, who would not want to repeat the glory of “I came, I saw, I conquered“? When Apple decided that it must give the best browsing experience for Mac (and could not just rely on Microsoft for its Internet Explorer), they took KHTML, ported it to Mac, improved it, and later released it as an open-source project called WebKit. Apple’s proprietary web browser, which is powered by WebKit (till today), was announced by Steve Jobs as Safari. Already conquered a land? Might as well enjoy it with a little bit of safari and collect exotic pictures. Shall we? Just like in your favorite comic books, the world is however multiverse. Netscape lost the browser war, Mozilla became an open-source project and its Firefox browser (formerly Firebird, and formerly Phoenix) remains as the icon of freedom, independence, and community. Opera, originally a Telenor research project, was something that came all the way from Norway, has loyal followers and remains dominant in the embedded space. Google even joined the fun and launched WebKit-based Chrome (and Chromium). All these three are excellent web browsers, they just don’t have the names which fit the story of navigation, exploration, and so on. As the closing, here is a side twist. In its early WebKit days, how did Apple engineers name the code branch of its ported Konqueror’s KHTML? Alexander.